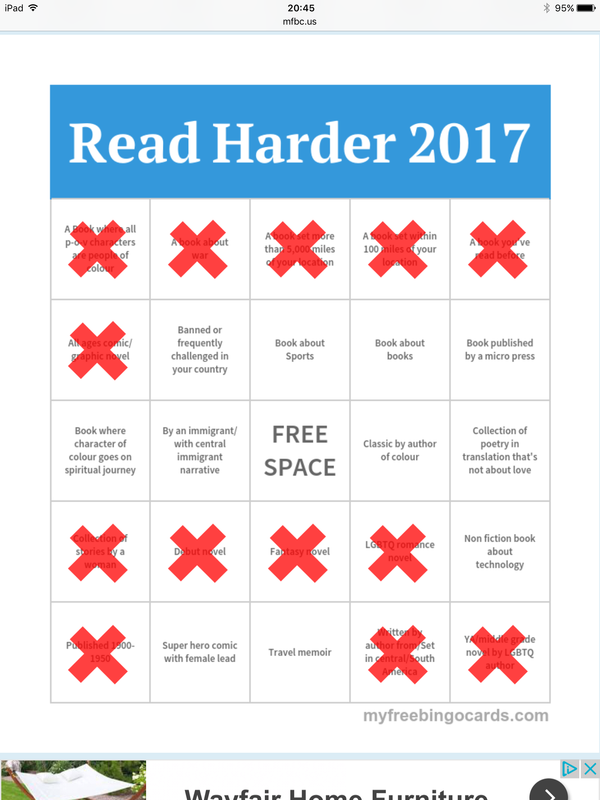 The latest version of Read Harder Bingo! I really like this bingo. Where did you get it? I made it on my free bingo cards. com – it was dead easy and really useful.